RETIRE IN STYLE BLOG: How to Retire = Learning to be FREE! How to Retire = Learning to be FREE! 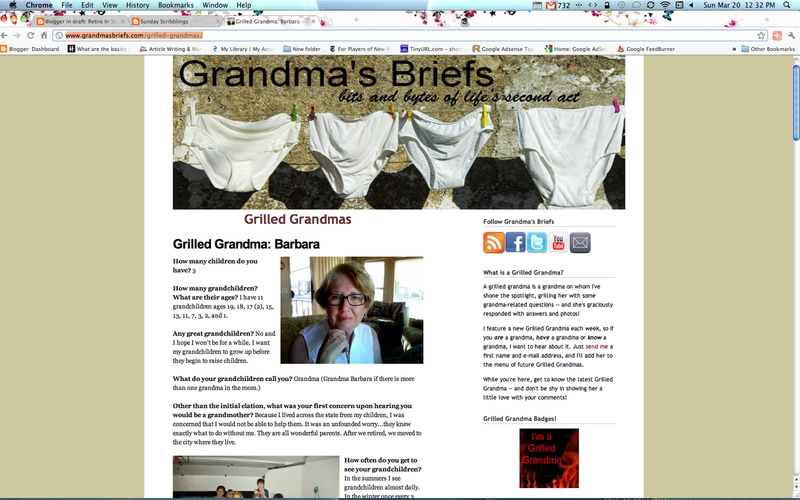 Grilled Grandmas: I am now a member of a select group of woman called Grilled Grandmas. 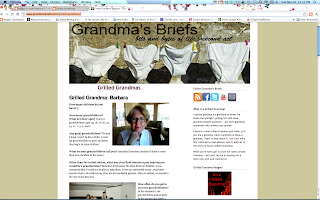 I was privileged to be selected and interviewed by the Grandma's Briefs Blog this week. You will find out who I really am when you read my responses! Yesterday we were watching the final game of the bocci ball game season with the game that would determine who was the champion here in the RV Resort. I know it seems silly to those of you that disdain a game like bocci...there is no thrilling dangerous excitement. No one gets hurt, or pushed or even yelled at. It is usually quiet even with 100 people stand around watching. The loudest noise you will hear is the heart beat of the people competing. Most people are not used to that kind of attention from a crowd. I know because we played for the championship pizza last year...and lost. Then my husband pointed out to me that the 60s Garage Band was playing for a dance nearby...just mention dancing to me and I am dressed and in the car. We took friends with us and danced until...drum roll and applauding...9:30 pm. Oh my...we really need to find a place where people stay up later. But the fact is we were done for the day. 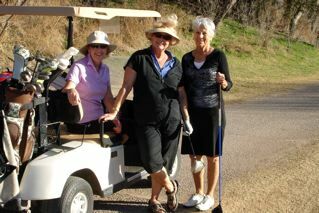 We had played 18 holes of golf the day before, eaten dinner at a nearby retirement community and collapsed in bed at 10:30. 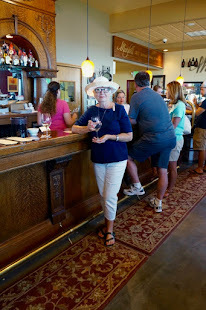 We had gone shopping and running errands between the bocci ball and the dancing and we had cooked dinner on the bar-b-que at around 5:00 o'clock. We were happily tired and full of the day! I know you young people make fun of old people...they have lunch at 11:00 am, dinner at 4:00 pm and breakfast a 8:00 pm. We turn down our bed at 6:30 pm and are in bed by 9:00 pm. I have heard the routine. I have even laughed myself...but let me tell you this...for the most part it is all a lie. We have something that those of you that work will not understand until you have it yourself...FREEDOM! We can come and go, eat, dance, dress just like we want and when we want. Trust me, being free is just about the best thing around. I have to say you make retirement sound real fun. I'm about to hit that certain age, but I've just signed a new contract for another 5years work! I wonder if I've done the wrong thing? I read your interview at Grandma's Briefs: 11 grandkids? That must keep you hoping. I thought it was a tremendous interview and thoroughly enjoyed learning more about you. Regarding your post, yes, the earlier times for meals and bedtime amuse younger folks. But when they get to be our age they will do the same thing and be laughed at by the generation after them. Freedom is the key. That is something that cannot be fully understood until you experience it. Enjoy the freedom :) Have fun ladies! Well how about that! we have English in Australia, haha. I envy your freedom to not have to go to work each day. Oh, one day I will get there but it seems such a long hard haul I have to get there yet. Very well put! I agree!!! You can do as you please, and do!!! Nice read!